On August 8 Giulia went to the Animal Shelter “Lese”, in Vilnius. 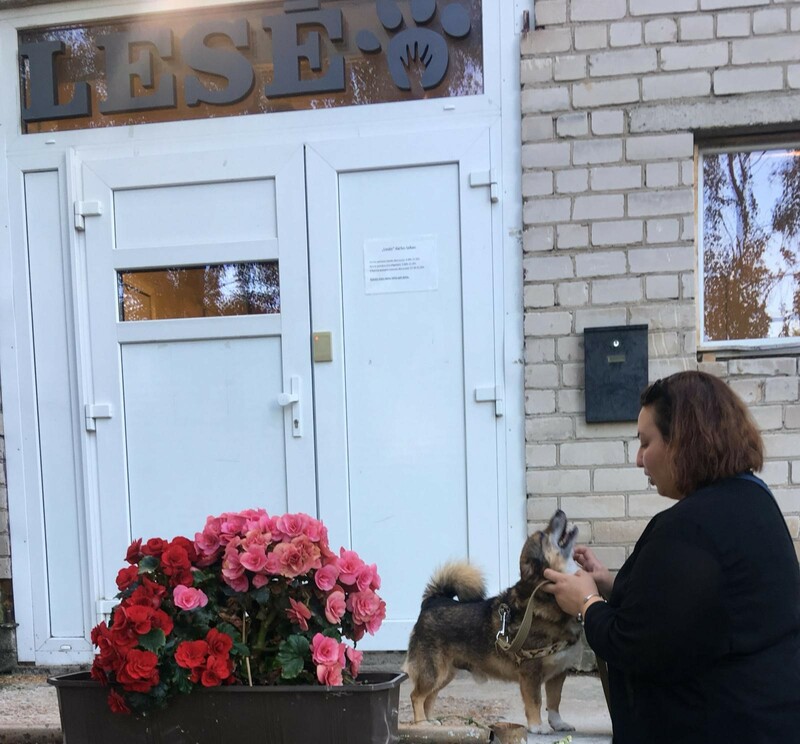 Lese has a program for homeless cats and dogs and was the first “no-kill” animal shelter in Lithuania. Once she arrived at the shelter the volunteers showed her the place and all the animal in the building then she expained to Giulia the main rules and some particular case about some of the animals. Because it was a sunny day she was able to go for a walk with some dogs and help taking care of some of the cats. Some dogs were particulary happy to be able to run in the nature that surrounds the shelter or to swim in the beautiful lake situated just next the shelter and other just wanted to be pet. Giulia has experience in volunteering at the shelter and the part that she enjoyed the most during this day was being with all the animal lovers volunteering at Lese, being in the middle of a beautiful natural enviroment and being with all the animals at the shelter.